Between 2009 and 2010 twelve library authorities in the North East worked together to create the North East Festival of Learning. The festival set out to celebrate the strong contribution to informal adult learning which all public libraries provide. 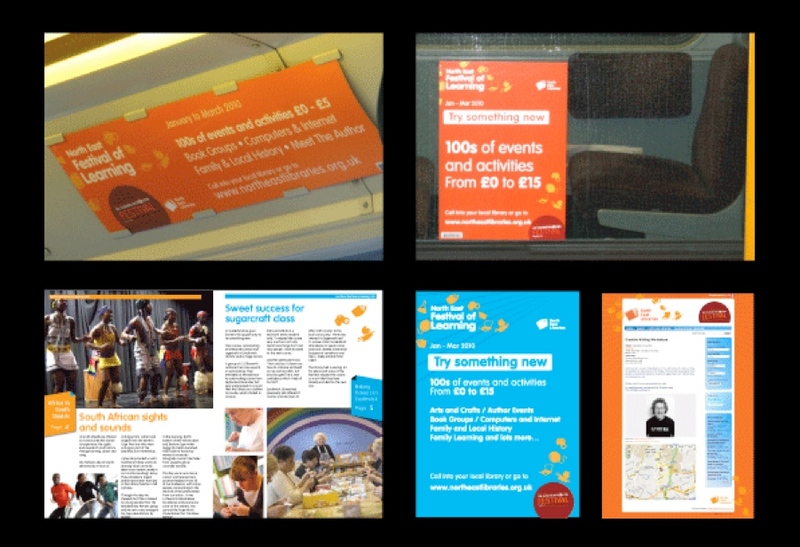 To create a brand and all the supporting publicity materials for the festival including posters that would be used right across the North East on the Metro, on buses, in libraries, etc. To create an interactive website for the North East Festival of Learning. To create a booklet showcasing some of the festival’s most successful activities. The brand had to be fresh and optimistic and tie in with the national campaign, The Learning Revolution. Nic created the website through Altro Design. It had to be very accessible and have broad appeal so that it would be used by young people and grandparents alike.